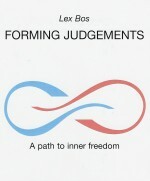 This booklet offers a solid introduction to the Dynamic Judgement-formation concept. The process begins with a question and then continues with searching for an answer. More often than not, one discovers that there is a more fundamental question hiding behind the original one. Characteristically, the Dynamic Judgement-formation process does not take place in pre-planned stages, but instead results in a lively interaction among the basic elements that play a role in all evaluation processes. This is one of the main reasons that discussion can turn into dialogue. Geplaatst op 21 december 2015.